This week it's my turn to pick favorites. First, since this is my first time hosting, some of you may not know my amazingly talented from Karin from Art Is Beauty. 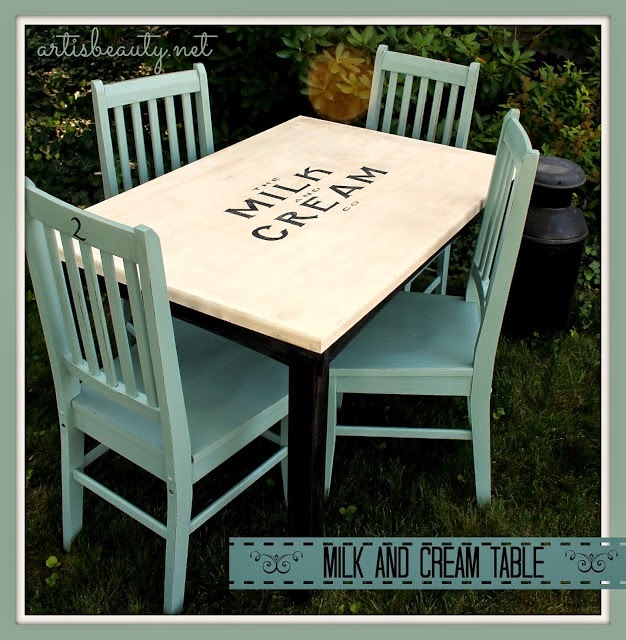 Not only is Karin very talented beautiful and extremely sweet, she has a great eye for furniture and shares my love of giving old, vintage pieces new life. Here are a few examples of her beautiful work. She's amazing, right?! Anyway, enough about us, I want to share my favorites from last weeks link up. I was thrilled to see all the great projects and it was hard to pick! 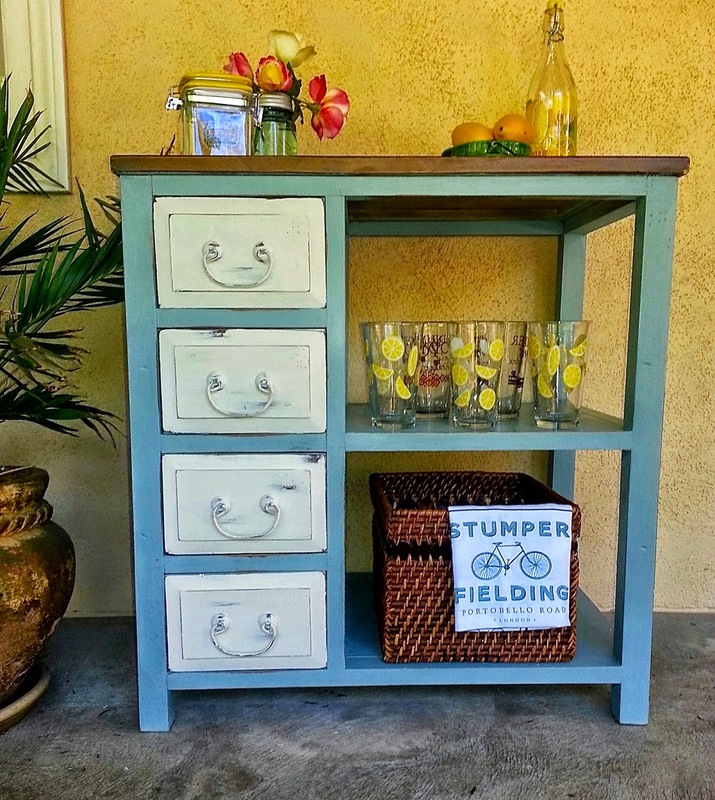 First up I really loved what Doreen of Altered Artworks did with this desk she turned into a beverage station. 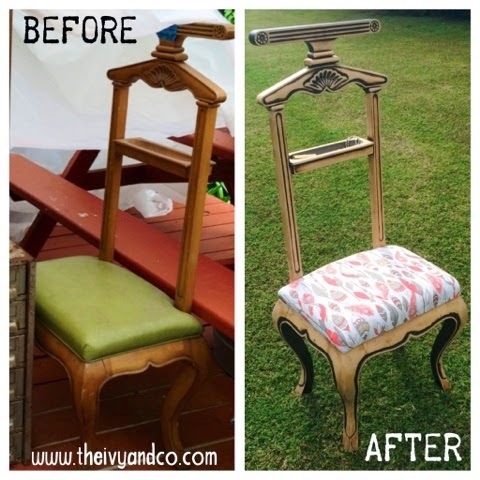 Next up Becca from Ivy & Co. gave this valet chair an adorable makeover. I'm in love with that fabric! And then there's this beauty from Shelly of Shizzle Design. I love this pretty in pink French provincial highboy! I could go on and on for awhile about all your gorgeous projects! I can't wait to see what you have in store for us this week!! Thanks for stopping by and partying with Karin and I!! Thanks so much for the shout out Melody! 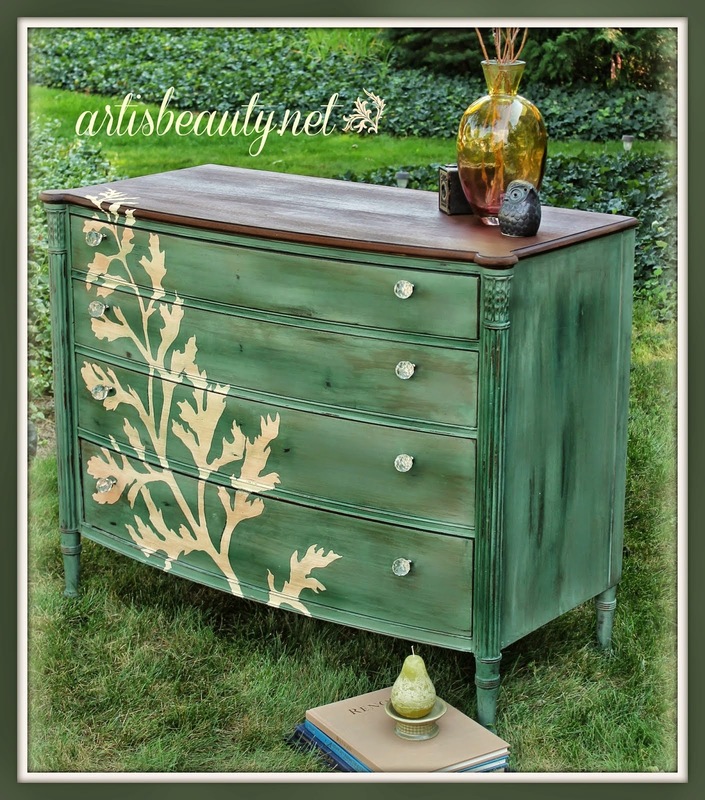 I was cruising along checking out the other pieces when I stumbled upon my highboy. I'm tickled pink that you liked it; thanks for sharing!! Shelly, I'm SO happy you linked up! 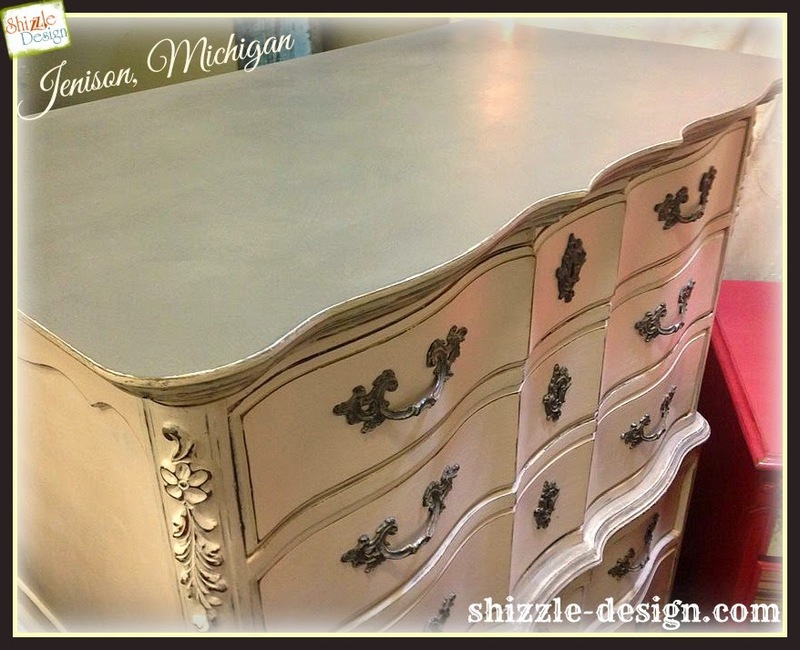 The highboy is beautiful and I'm loving that pink!! !